The heavy smog in China is an environmental and public health problem that won’t just go away in a matter of days. Ask anyone living in Shanghai. The residents will tell you the excessive smog is a phenomenon you really don’t want to experience. Not only does the air become completely still, chocking your every breath, but it also acquires a taste you might never forget. Here’s how Alan Yu, a citizen of Shanghai and a gourmet chef, describes the smog that threatens to suffocate millions of Chinese people. Yu is just one of the many people that got to know these terrifying tastes up close. In January of 2013, eastern China was completely smothered by a Greenland-sized cloud of poisonous air pollution. A noxious gray-yellow fog hid from sight the skylines of the country’s largest cities. According to the U.S. Embassy in Beijing, the levels of PM 2.5—a kind of particulate matter that affects the lungs and heart tissue—skyrocketed above 850 micrograms per cubic meter. For comparison, the UN stated the highest safe level for humans is 20 micrograms per cubic meter. What Causes China’s Stubborn Smog? In January 2013, the unbelievable haze pollution – the worst ever recorded in China – forced authorities to close schools, highways, and airports across the nation. Over 7,000 children ended up in Beijing Children’s Hospital alone. But according to the reports after the episode, there was something strange about the heavy smog. The clouds of toxic air usually dissipate when the sources of air pollution shut down for a while. But the cloud wouldn’t go away even when factories ceased operations according to Beijing orders. In fact, the smog continued to hover ominously over Beijing until February of the same year, with little to no change in the “airpocalypse” scenario. Due to the massive health concerns of the heavy smog in China, scientists wanted to figure out what made the nation’s winter smog so dreadful in that year and in the winters since. Now, in 2017, two new published studies revisited the incident. Unsurprisingly, both of them reached the same conclusion: Climate change is part of the reason why the clouds of smog have become so stubborn in the past few winters. In fact, the experts conducting the studies are positive this kind of smog episodes will become more common. That is, if governments don’t come up with stronger action against climate change. According to one of the published researches, China’s heavy smog episode of January 2013 was aggravated by two weather events thousands of miles away. Firstly, the Arctic Ocean froze less than usual, and secondly, the boreal forests of Russia experienced higher-than-usual snowdrifts. 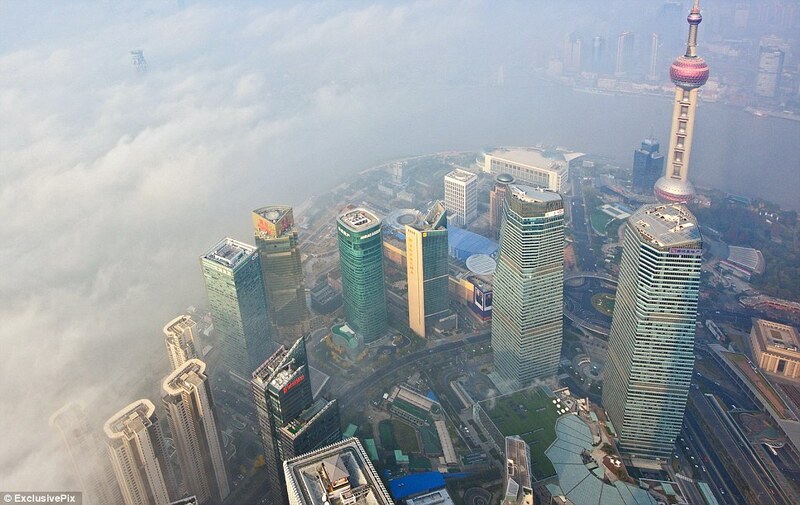 These two phenomena contributed to the worst air pollution millions of Chinese have ever seen. Emissions do play a major role when it comes to China’s smog, but weather is also an accomplice. 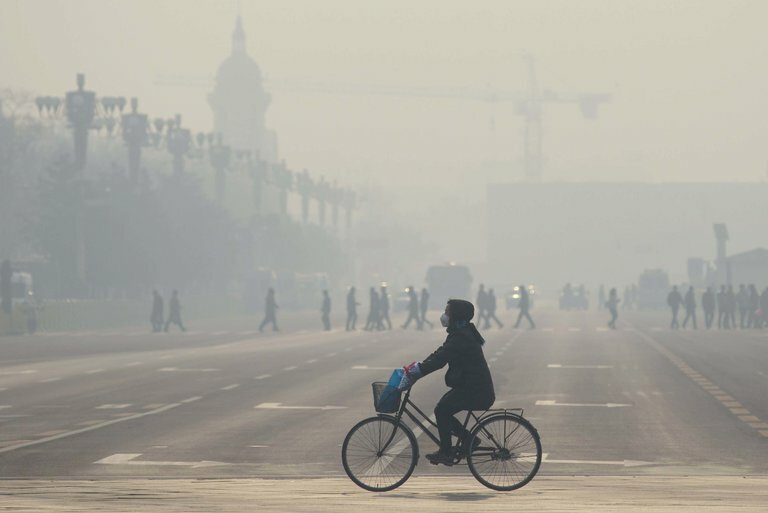 For most of 2013’s winter, eastern China was covered in stale air that barely circulated. This situation was caused by dormant trade winds and vertical circulation that had significantly slowed down. Therefore, the air couldn’t ventilate and particulate matter could not drift from above the cities. And Chinese winters are typically dry, so rain never washed air pollution out. Let’s see the conclusions published in the two papers we mentioned. The first one appeared on Monday, 20 March, 2017, in Nature Climate Change. Thanks to the 15 climate models the scientists used, they discovered the dreadful wind conditions will become more likely in the next century, leading to more episodes of air stagnation across China. The chances these smog-inducing circumstances will increase in occurrence are 50 percent higher between 2050 and 2099 compared to the period between 1950 and 1999. The second paper, published in Science Advances, takes it a level deeper. The research team set out to discover what exactly influenced those wind patterns. They looked at pollution and historical climate data through a form of artificial intelligence, and the results pointed the blame on climate change. The two big influences we mentioned before – the Arctic Ocean freeze and the snow coverage over the Siberian forests – were the key findings of their research. The differing temperatures in the two areas are the main reason why they have such influence over China’s climate. The combination of a particularly warm Arctic and a snow-covered Siberia significantly reduced the atmospheric-pressure gradient over Asia. As the climate keeps warming up, these two weather episodes get more intense and more common. It means that even if China does reduce some of its emissions to fall in line with the Paris agreement, the weather could still aggravate the winter smog. Even back in January 2013, the authorities did not register any unusual spike in factory emissions. Therefore, meteorological reasons were the ones to blame for the sudden clouds of persistent smog. According to MIT Professor Noelle Selin, the papers proved the importance of local weather when it comes to global air pollution. In the light of the new findings, she has also contemplated whether Eurasian snow could influence the air-pollution patterns in Europe or the U.S. Prior to this research, scientific teams have mainly focused on how climate alters air pollution in more developed countries. However, considerably fewer studies looked at China’s particular case, in spite of the seriousness of its current air-pollution issue. Hopefully, papers like these will urge authorities to take action regarding air pollution as well as climate change. The fact that Beijing will host the Winter Olympics in 2022 is yet another reason for President Xi to figure out a way to combat winter pollution. We mentioned creative ways China is combating smog in another article. Prof Selin added that few other atmospheric phenomena could be as distant as the low Arctic ice and the smog over Beijing and yet so closely connected. Meanwhile, it goes to show how impressive this planetary dance influences our climate. So powerful, in fact, that an urban chef can practically taste the melting of icebergs in a cold, faraway sea.